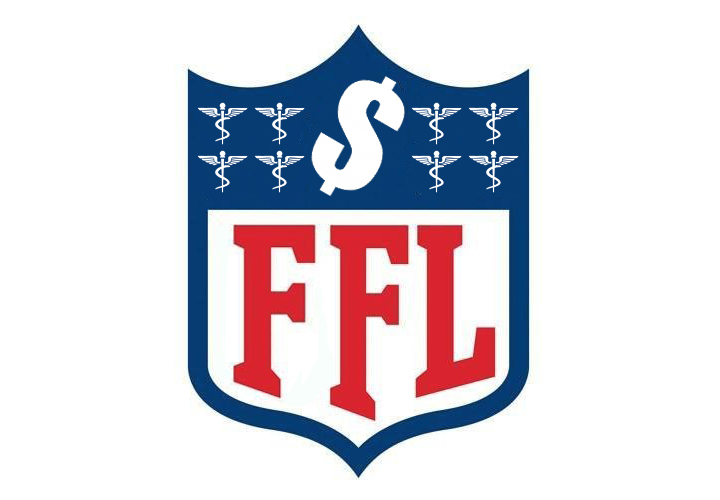 My Fantasy Finance Team 2016 | Passive Income M.D. So last night we held the draft for one of my two fantasy football teams this year. For those who might not know what that is, Fantasy Football – or “fake football” as my wife likes to call it – is simply a game where competitors in a league pick players to be on their teams. Points are accumulated based on the actual performance of your players on game days. Every league crowns its winner every year and along with that comes the immense satisfaction of victory, bragging rights for a year, and usually a little cash as well. Unfortunately, this pastime is the exact opposite of passive income for me, in the sense that I spend way too much time and effort on it, only to lose money every year. But hey, I enjoy it and my buddies and I have something to talk about for 5-6 months. This got me thinking though, what if I were able to put together a Fantasy Finance / Business Team made up of real life people that would be able to take my real world finances to victory? If I ran the league and had all the picks, who would I draft to be on my squad? Who else but Warren Buffett? As Wikipedia describes him, he’s “an American business magnate, investor and philanthropist.” He’s the CEO of the investment firm, Berkshire Hathaway, and one of the wealthiest people in the world. I’m not picking him for his wealth but because more than anyone on the planet, he understands what true “value” means and has shown over time that he understands how to pick and develop winners. I was introduced to Robert Kiyosaki through the book “Rich Dad, Poor Dad” which is still one of my favorite finance-related books ever. He stresses the importance of seeking out a solid financial education and preaches on accumulating assets, not liabilities. His book “The ABCs of Real Estate Investing” is my go-to book when analyzing investment properties. He’s been a part of over $500 million in real estate investments and has dedicated himself to teaching others how to do the same. Tim Ferriss rocketed to fame with his book “The 4-Hour Work Week” which stresses the need to automate your life as much as possible, to stop being an hourly worker, and to build your work around your lifestyle. He’s a well-known angel investor and advisor to companies like Facebook and Uber. He’s the guy that will help you best utilize your time and energy for maximum output. Pat Flynn is a blogger and podcaster best known for his website Smart Passive Income, where he conducts passive income experiments and shares the results. He’s one of the inspirations for me to start this blog. I love that he comes across as this regular, family man that benefits from helping and empowering others. Check out his page to see how he makes over $100,000 per month blogging. Dave Ramsey preaches the concept of not carrying debt and advocates paying off what you currently have using the debt snowball method. He’s credited with helping thousands get out of debt through his book “The Total Money Makeover.” He’d help me keep the spending in check. I stumbled upon his site back in residency and it helped shape the way I think about my career and finances. He helped me to realize just how important it is to seek out my own financial education as a physician. The amount of information he’s put together on his site is extremely impressive, and his self-titled book, “The White Coat Investor” is awesome. Gary Vaynerchuk is the founder of Vaynermedia, a large digital media company. He’s known as an entrepreneur, angel investor, and internet personality. He’s famous for creating his brand through the use of Youtube and Twitter. He’s also an early investor in Facebook, Twitter, and Uber so he knows a thing or two about evaluating winners. Also, when the team needs motivation, no one is better for the task than this guy. Check out this video if you’re curious. He feels you’re not entitled to anything and it takes hard work and hustle to get there. Founder and CEO of Vanguard. He created the world’s first index mutual fund in 1975 and still preaches this concept today. He’d remind me that trying to pick the hot stock is pure speculation but if I’m truly concerned with finding a good investment, I’d focus on returns over the long-run with lower risk & fees (like index funds). Last but not least, he’s the founder of TOMS shoes, best known for their “One for One” campaign, where they donate a pair of shoes for every pair of their shoes sold. He harnesses the power of entrepreneurship to drive social change. He’s motivated countless corporations and individuals to integrate philanthropy as a mission into their companies and lives. I recently bought one pair of their sunglasses and in return they’ll pay for cataract surgery for one individual in need, awesome! There’s just no way I could lose with this team! I can see myself holding the trophy in victory right now (see below). What would your team look like? Anyone else you’d add or subtract from this list?